Hellfest Open Air 2017 will take place in Clisson, France on June 16-18, 2017. 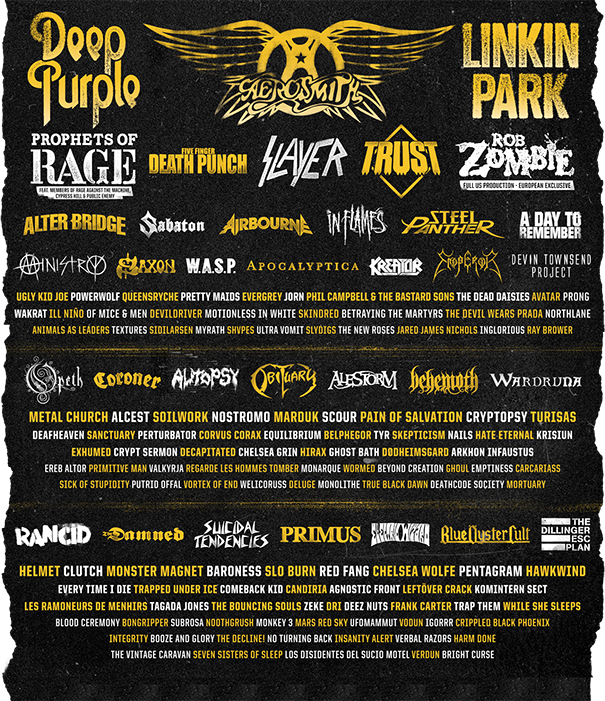 Deep Purple, Aerosmith and Linkin Park are among the bands that will perform at Hellfest Open Air 2017 festival. Sweden Rock Festival 2011 will be held in Sölvesborg in Sweden on June 8-11, 2011. Ozzy Osbourne, Judas Priest and Overkill are among the bands that will perform at the Sweden Rock Festival festival.